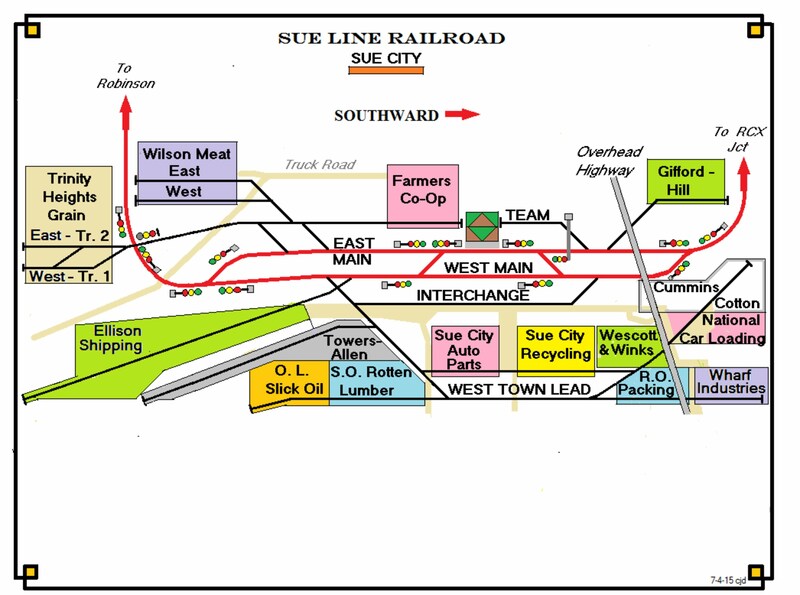 We will review the Sue Line by looking at the maps for each city or area. 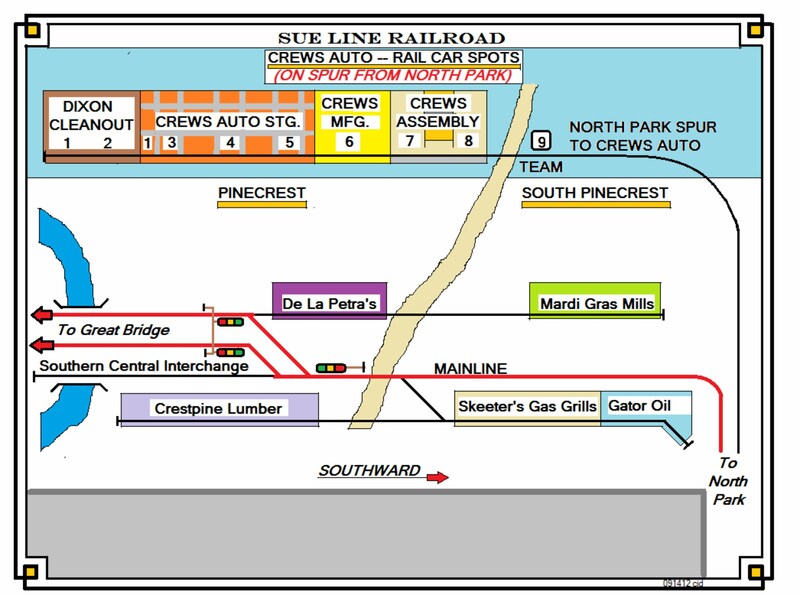 Sue Line Crew member Charlie DeVillbiss (above). 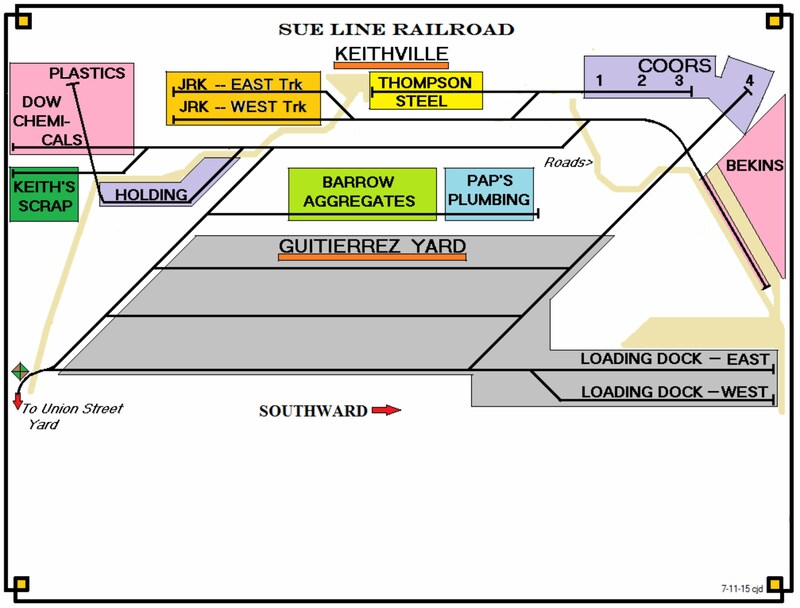 We will begin on the north most portion of the area modeled- Ginnings yard. 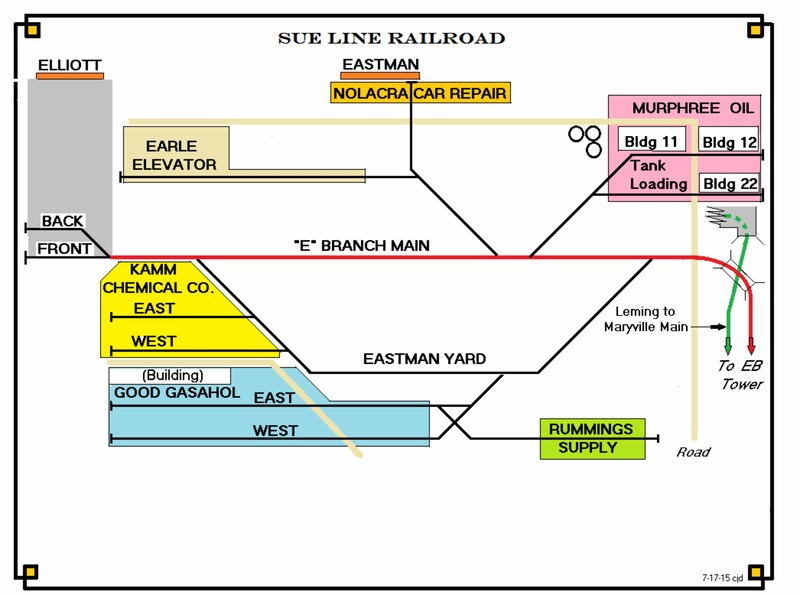 Remember that on the Sue Line the south is always right and that the north is what is left. 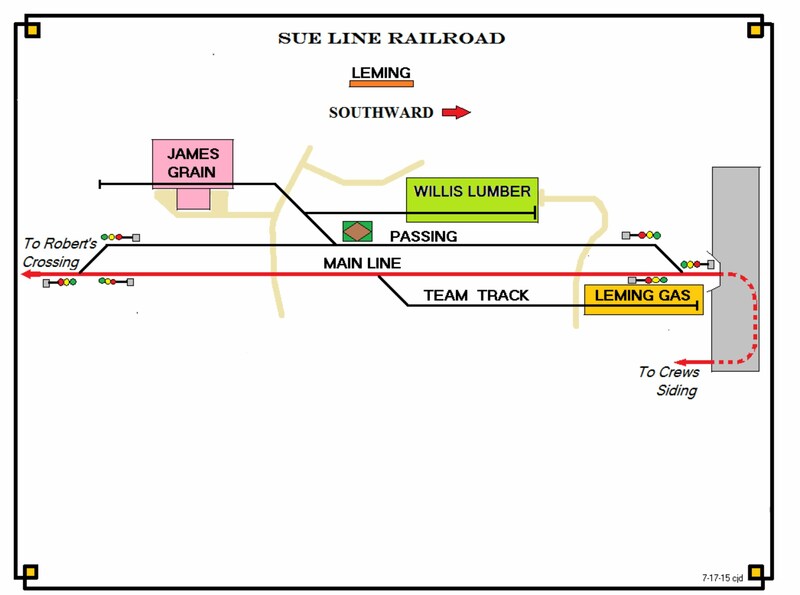 Therefor, the right side of Ginnings yard is the northernmost part of the Sue Line. 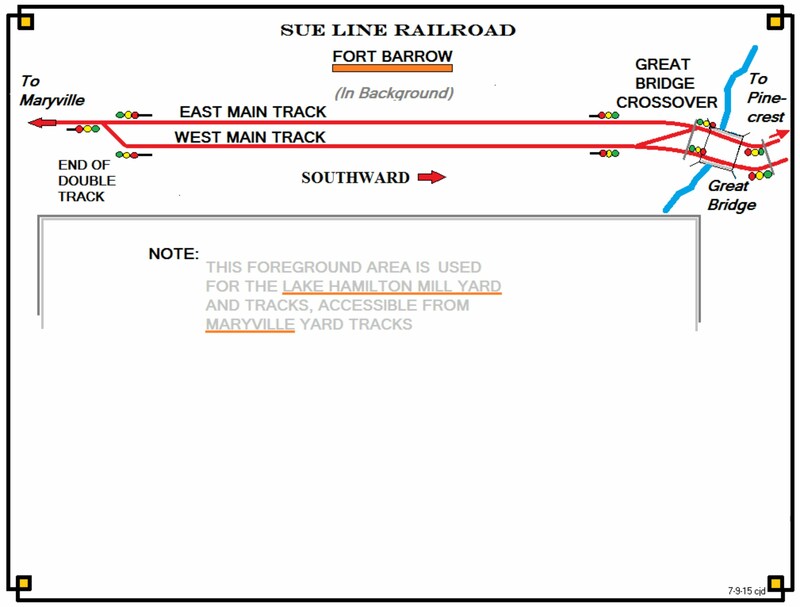 Next we enter Riverfront Yard. 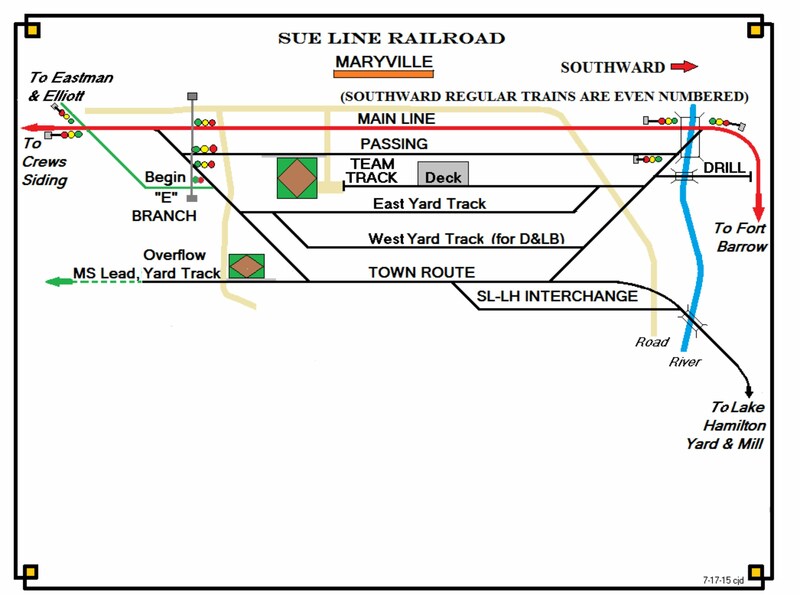 Between Riverfront Yard and Shreveport is Ashby Junction. 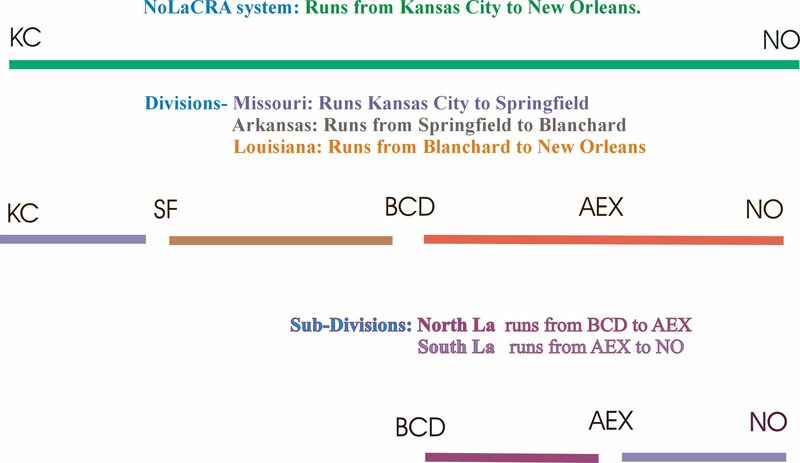 Shreveport Public Belt (SPB) Operator. 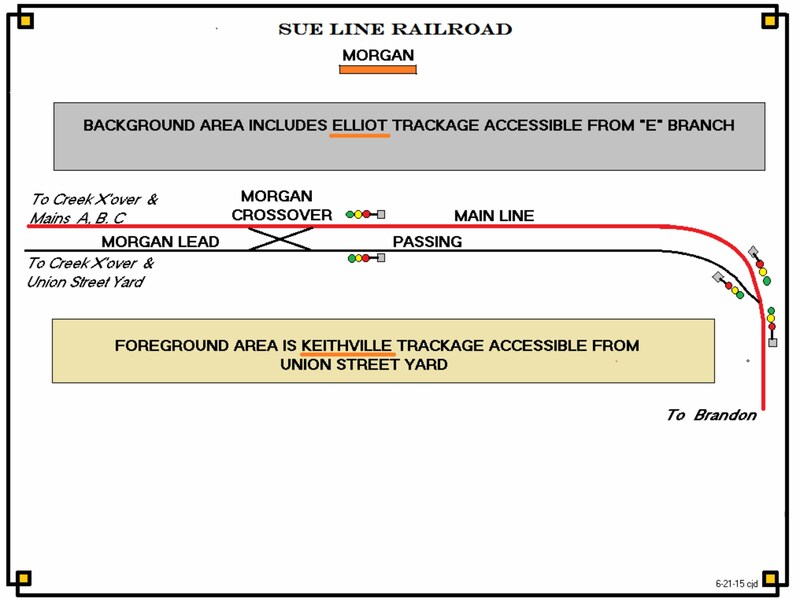 The mainline continues south to Morgan. Next we come to Brandon. The town of Robinson is next. A branch heads south from Robinson to Shattuck. 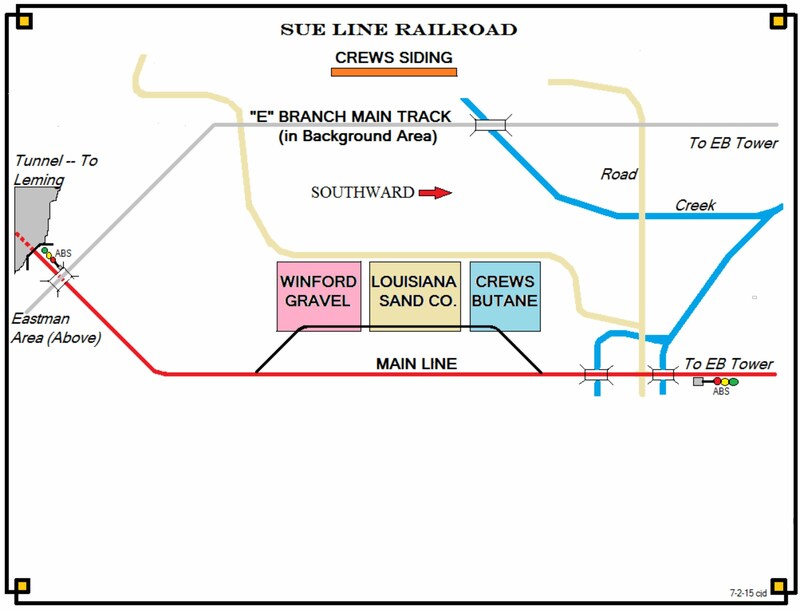 The mainline continues south to Sue City. 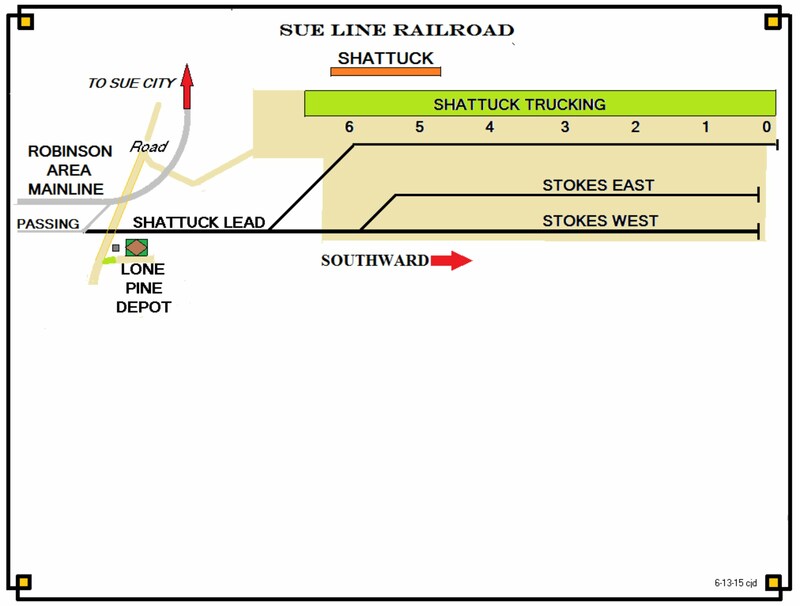 Here there is a Sue City Operator (SCO). 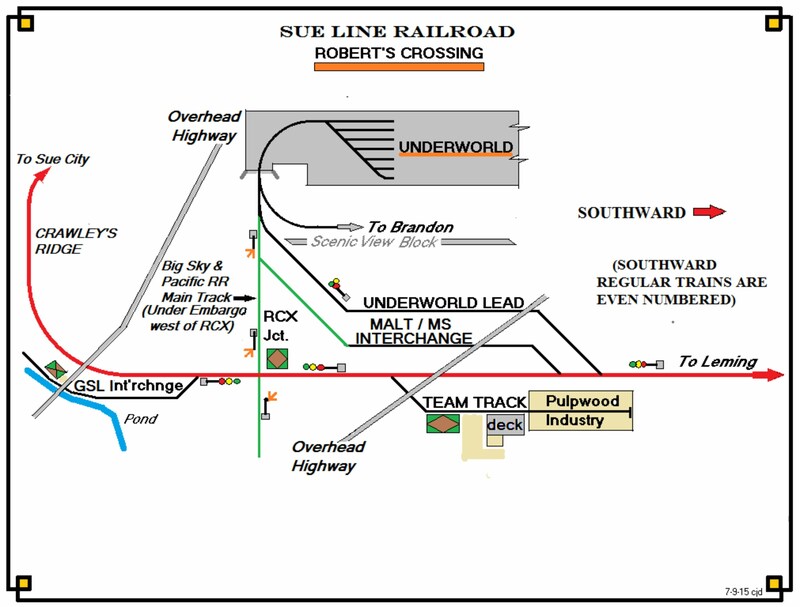 Continuing southward, we arrive at Robert's Crossing. Next we arrive in Leming. The next stop is Crews Siding. Here there is a Maryville Operator (MOP). who runs Maryville, the E- Branch and Lake Hamilton Paper. 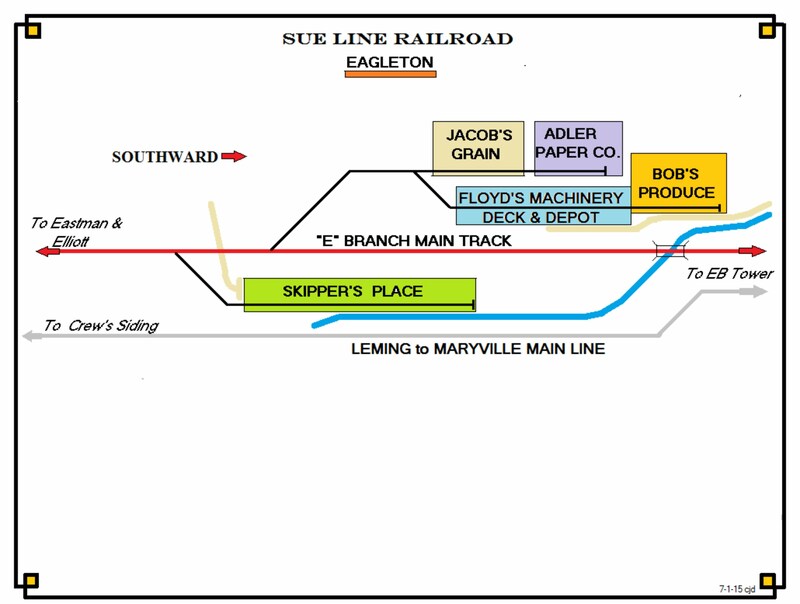 To the north of Maryville is the E-Branch. The first town is Eagleton. Next we arrive in Pinecrest. 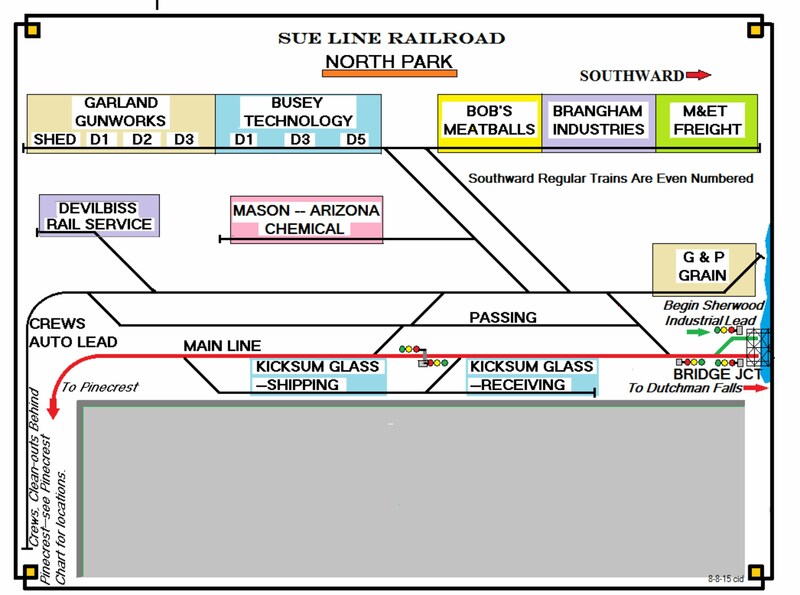 Just south of Pinecrest is North Park. 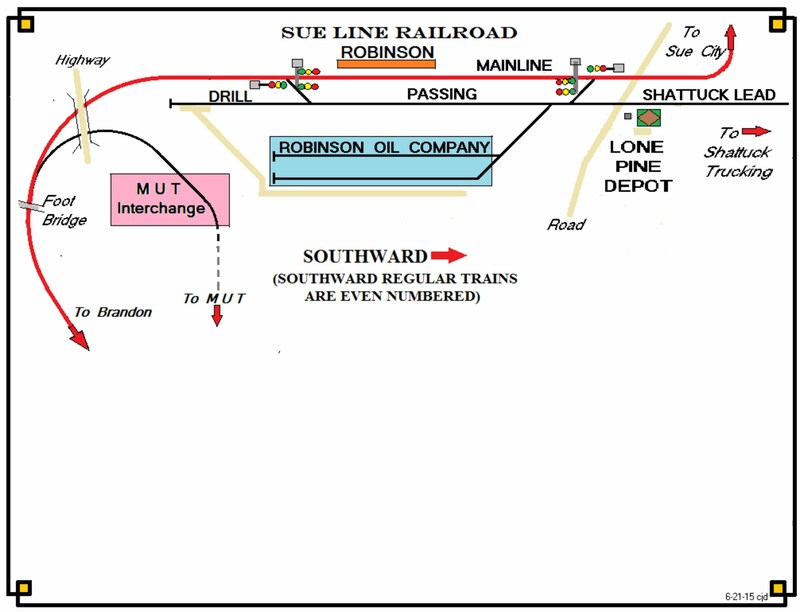 Next, the mainline continues southward to Sherwood. 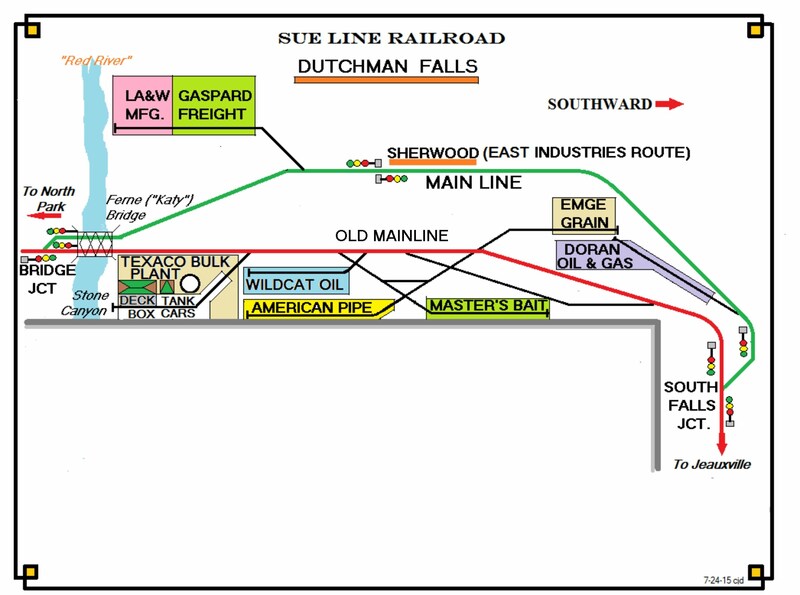 The mainline by-passes the town of Dutchman Falls. 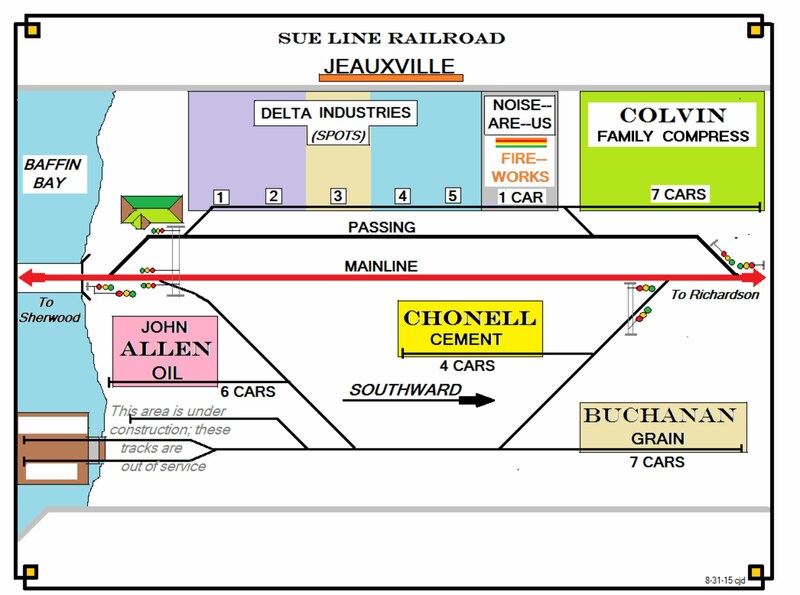 mainline continues southward to NoLaCRA Yard. 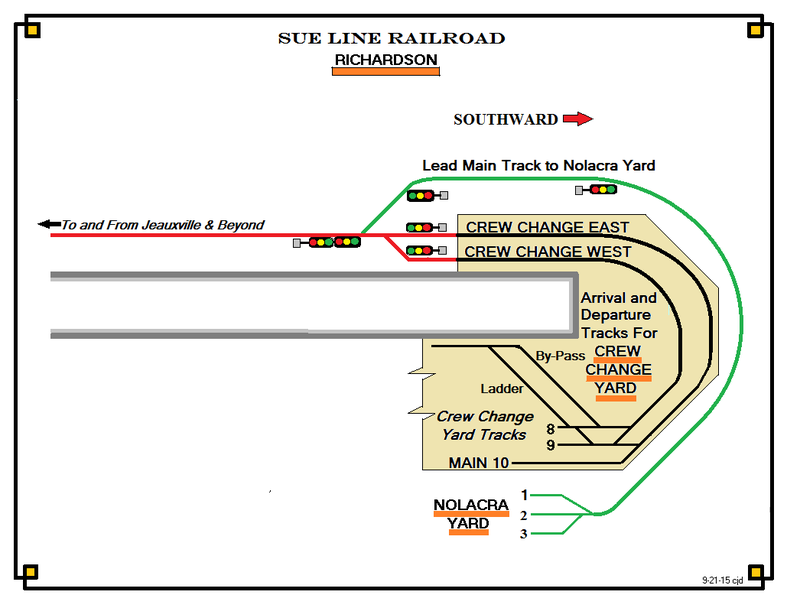 Our journey ends In Crew Change Yard and Joint Yard. These physically are the south end (the left side) of Ginnings Yard.